Though presented as menswear, Victor Barragan’s collections are thoroughly, willfully non-instructive. Working alongside a tight-knit crew of international collaborators, the Mexican-born, NYC-based designer has gained notoriety in recent years not only for his adventurous cuts—ranging from oversized graphic prints and taffeta tops to elbow-length gloves of distressed brown leather—but for his wild presentations: the label’s A/W ’16 presentation, for instance, found a diverse cast of models (all cast from Instagram) writhing before shattered mirrors, the proceedings streaming live on Cam4, while Fall ’16 saw accessories rendered from produce (lemon hoop earrings, pierced eggplant clutches) engaged to salacious ends. Barragan recently changed the brand’s name to his own, signifying a shift towards a new, more “serious” approach. In retaining YtinifnInfinity as an experimental side venture, however, he suggests that maturity needn’t mean losing ones edge. Your collective’s long been outspoken in promoting a gender fluid presentation. In terms of your designs, is that sense of flexibility a stated policy or simply a shared sensibility? I think both. The designs come intuitively; we never make a conscious effort to be or make something that doesn´t feel genuine to us. But each of them is filtered through the fashion sphere—we get ideas for styling and silhouettes from magazines and the Internet—so in a certain way, we are creating a response to the attitudes and gender constructs we perceive around us. We try to make clothing that skews gender norms, but not in a way that fetishizes being radical or “of the moment.” We think about the ways in which we wear (or don't wear) clothes, and how our pieces can mix into a pretty standard wardrobe. Have these ideas informed your aesthetic from the outset? No, we originally started by creating men's clothes: our first attempts centered around graphic tees and basic pieces that would be interpreted as “masculine,” although they were never exclusively for men. Since then, we’ve slowly expanded to make clothes that could also be worn by women: not necessarily womenswear, but pieces that more clearly disregard those boundaries and conventions. The transition was organic, but even from a business perspective, it made the most sense for us: rather than design two collections—one men's and one women's—we’ve merged them to create a line that can be shared by both. In making that transition, have there been any prescribed visual cues for “feminine” or “masculine” attire that you’ve particularly enjoyed working with (or against)? Not really, as we aren’t thinking of gender when we’re designing the pieces—that part only becomes relevant when we begin to market the clothing, and have to try to make it appeal to a certain demographic. Our ideas tend to come organically, and we try not to think too much about any existing formats that our clothing might fit into. I think this has to do a lot with a queer sensitivity that the clothing represents: it is neither masculine nor feminine, but rather exists in a liminal space between both. Our design approach is to try to be as universal as possible, taking from different influences equally. We are a Mexican collective, though, so our approach is distinctly Latin, even if we don't consciously think of it that way. We're often inspired by subcultures, particularly those in Mexico DF, but even these subcultures are trickled down from US/European influences, so they're universal in a certain sense, but each one has its own bit of Latin heat. 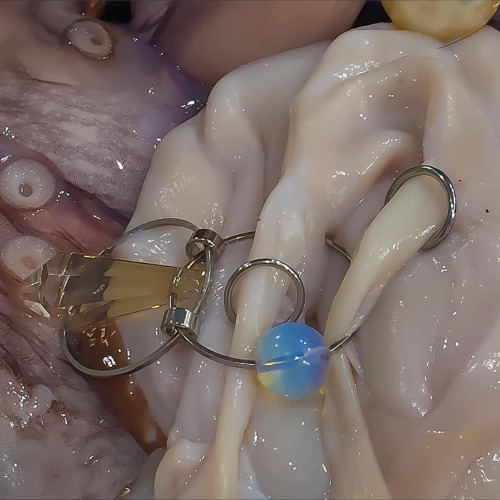 Your use of accessories has been consistently inventive—particularly in the S/S ’16 collection, for which jewelry seemed like a real point of focus. How has that part of your practice developed over time? To what extent have considerations of gender played a part in those strategies, whether it be in design or presentation? The perception of jewelry and accessories, especially in relation to gender, varies geographically and historically. Something as innocent as a hoop or a stud can mean a lot of different things, depending on where it’s placed or who it’s placed on. With our accessories, we just try to keep to basic and simple shapes, not only because they go well with most looks, but also because they’re the most open—and yet oftentimes the most charged. You recently changed the name of the brand from Ytinifninfinity to BARRAGAN. What was behind that decision? Will the change be reflected in future designs? We're just taking the direction of the brand a bit more seriously, and we want to start on a fresh and more mature page. We're actually still going to keep Ytinifninfinity, but as more of an experimental venture that allows us to explore different areas of Latin culture, art direction, photography, and so on. We’ve heard a lot in recent years about the “obsolescence of gender,” both in and beyond fashion circles. Do you think gender’s indeed become an obsolete form of classifying garments? Can it, at this point, retain any useful function? I think conversations regarding gender are certainly still relevant, especially in current society. 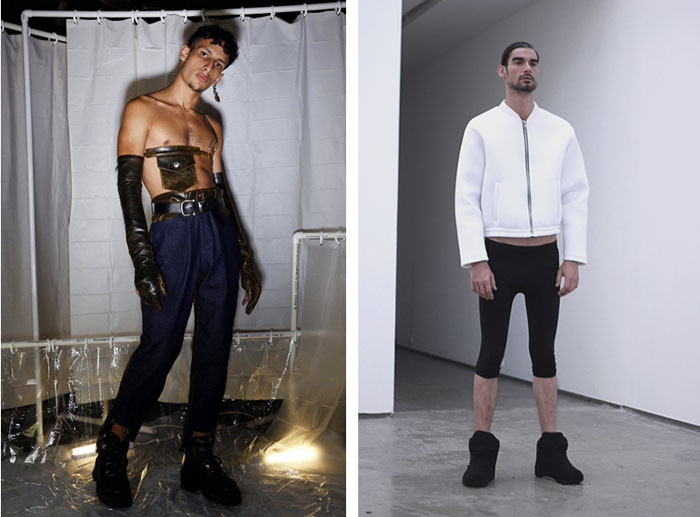 I think the “obsolescence of gender” might exist for a small fashion set that gathers around a runway for a 20-minute presentation, but in the real world, we're not any closer to existing in a “post-gender” society. LGBT people, and others who play with these boundaries, are still regularly discriminated against before, during, and after Fashion Week. As designers, we don't think we make a significant contribution towards changing this, but we do hope that by changing the way people perceive their relationship to clothes, they can expand to changing the way they think about these larger topics as well. Obviously, a lot of labels are dealing with this topic right now—I think in part because historically, we're reaching a more accepting stance, given the passing of Gay Marriage Rights in countries around the world. But I think gender transgression is definitely a trending topic, especially in fashion, and I hope that any designer that chooses to play with these boundaries does so from a genuine standpoint, and not just to use it as a commercial strategy.